To celebrate International Women’s Day on Saturday, with its theme of inspiring change, we asked some of our authors to pick out inspirational female authors or characters from literature. 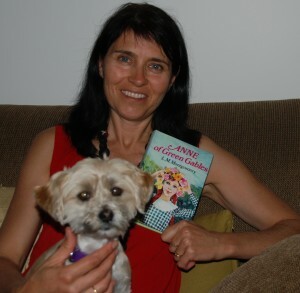 Today Karen Viggers follows Amy Hatvany in straying away from some of the classics in choosing her favourite character. When asked to write about my favourite inspirational female character in literature, I leapt at the chance to stand at my bookshelves, perusing my books and reliving the stories that have made a significant impression on me. But finding a character that was both my favourite and inspirational was harder than I expected. Most of the characters I relate to are flawed and complicated (like me). Even though I love their stories, I have rarely found them inspirational. Although I adore Charlotte Bronte’s Jane Eyre, in some ways I find her insipid, blind and weak. I’m annoyed it took her so long to find her way back to Mr Rochester – she should have realised far earlier that he was in love with her. Cathy in Emily Bronte’s Wuthering Heights is vain and self-absorbed and she treats both Heathcliff and Edgar badly, so I did not find her inspirational. Daphne Du Maurier’s lead protagonist in Rebecca fails to see how much her husband loves her because she is so obsessed with the memory of his previous wife. Thomas Hardy’s Tess of the D’Urbervilles is naïve and puts her trust too easily in men who let her down. Scarlett O’Hara in Margaret Mitchell’s Gone With the Wind is sassy, strong, wilful and determined, but she is weak in her love for Ashley – perhaps Melly is a more inspiring character in that book. In the end, I settled on L.M Montgomery’s Anne of Green Gables, because Anne, although full of flaws, vanities, errors and misjudgements, is always positive, imaginative and caring. She is passionate about literature, poetry and friendships. She is able to admit her faults and tries to rectify them, and she is someone who does things rather than talking about them. Interestingly, Anne of Green Gables is very popular in Japan. The novel was first translated into Japanese in 1952. After the devastation of World War II, the Japanese people found hope in Anne’s philosophies of positivity and striving for happiness, as well as her courage and free spirit. These are qualities I admire too. So it’s back to the books of childhood for me and trying to find simple pleasures in the rush and complexity of modern life. Karen Viggers’ latest novel The Grass Castle came out last month, and is about two remarkable women and their stories of courage, forgiveness and acceptance. 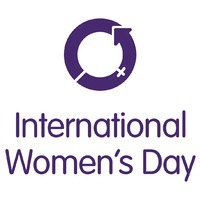 Be sure to check back on International Women’s Day itself when we’ll be giving you the chance to win a fantastic collection of books about or by inspirational women.